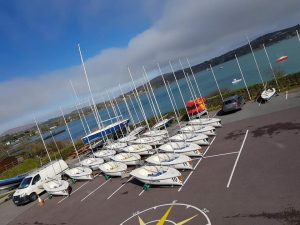 The Munster Schools Team Racing Championships is taking place today at the Fastnet Marine Outdoor Education Centre in Schull. Thirteen teams from eight schools are competing in the first round of this event. Round Two will take place next Thursday 28th March. 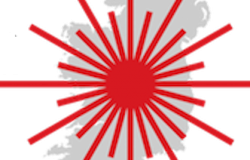 The schools represented are Schull Community College, Skibbereen Community School, Christian Brothers College Cork, Presentation Brothers Cork, Bandon, St Francis College – Rochestown, Scoil Mhuire Cork and Colaiste Muire – Crosshaven. We are delighted to have sailors from at least six of the schools represented. 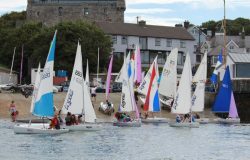 It is the largest number of teams to ever compete at the Munster Schools Team Racing event. Well done to David Harte and his team in Schull for organising and hosting this event. Six teams recently competed at the Connachts with the winners Comhghairdeas Coláiste Éidne (St Enda’s College) Galway securing the title for a second year in a row. 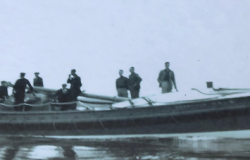 The Leinsters event has been rescheduled from February to the 23rd March. 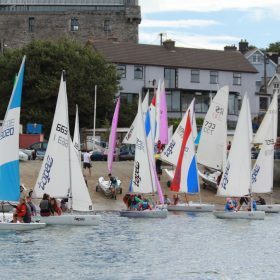 Best of luck to all the sailors competing in Schull.